This article applies to operators, builders, and administrators. 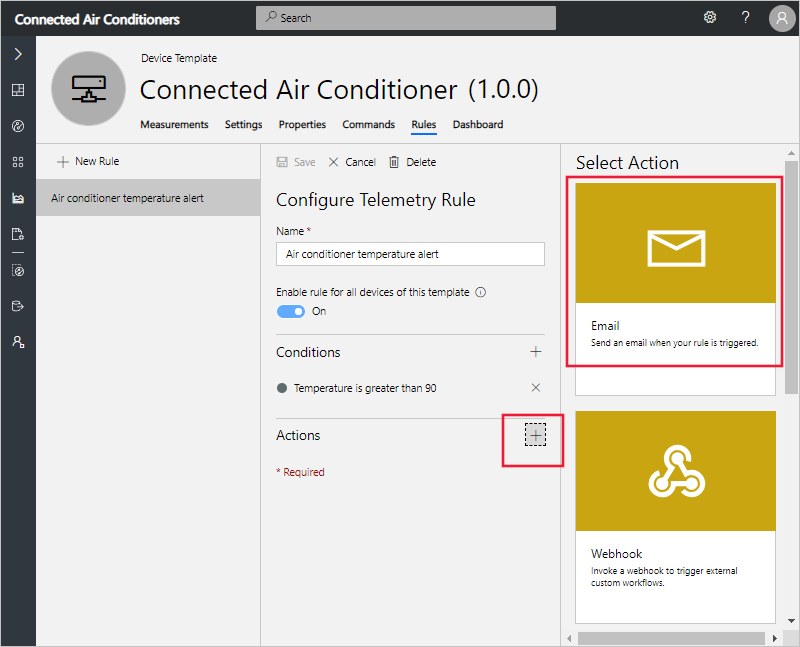 In this tutorial, you create a rule that sends an email when the temperature in a connected air conditioner device exceeds 90° F.
Before you begin, you should complete the Define a new device type in your application tutorial to create the Connected Air Conditioner device template to work with. 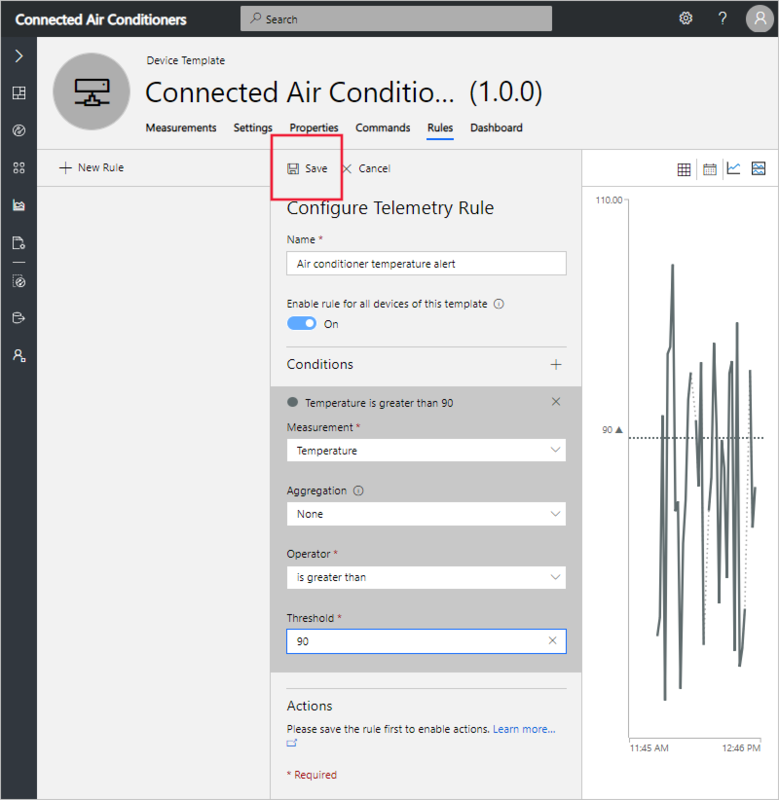 You see the Connected Air Conditioner (1.0.0) device template you created in the previous tutorial. 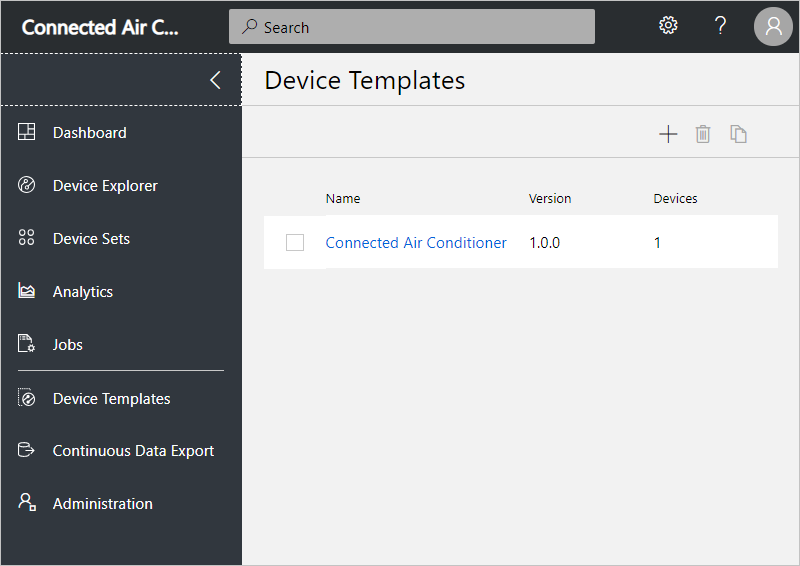 To customize your device template, select the Connected Air Conditioner template you created in the previous tutorial. When you define a rule, you also define an action to run when the rule conditions are met. In this tutorial, you create a rule with an action that sends an email notification. Notes Air conditioner temperature exceeded the threshold. To receive an email notification, the email address must be a user ID in the application, and that user must have signed in to the application at least once. Select Save. Your rule is listed on the Rules page. Shortly after you save the rule, it becomes live. 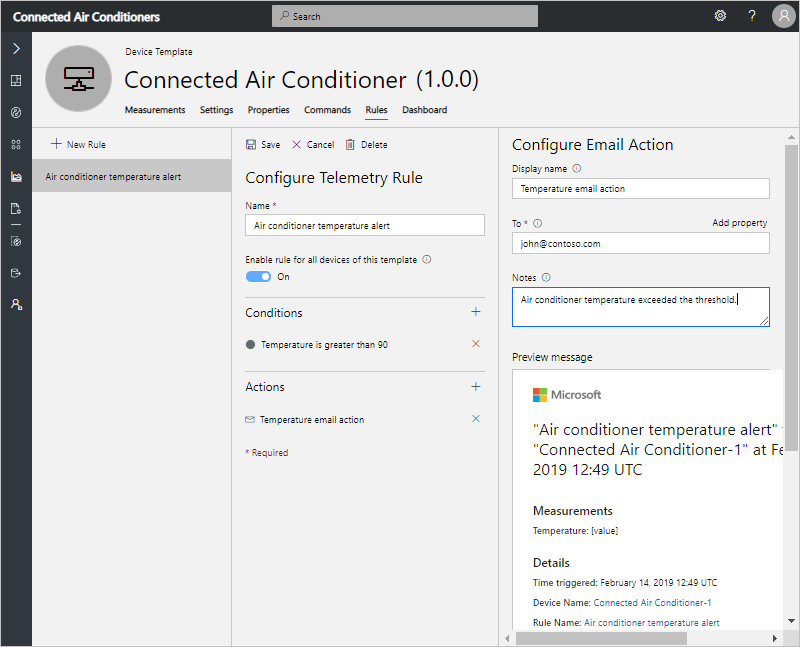 When the conditions defined in the rule are met, your application sends a message to the email address you specified in the action. After your testing is complete, turn off the rule to stop receiving alerts in your inbox. Now that you've defined a threshold-based rule the suggested next step is to Customize the operator's views. 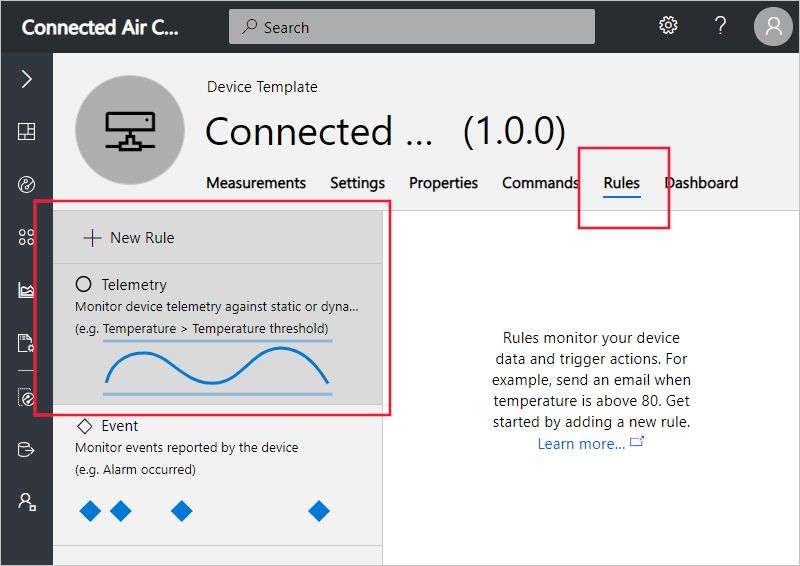 Create a telemetry rule and set up notifications. Create an event rule and set up notifications.